The Metropolitan Police has started new trials of controversial live facial recognition technology in parts of Westminster in a bid to reduce crime around the area. Privacy rights group Big Brother Watch has called the move “dangerous”. It argues it is a “breach of fundamental rights to privacy and freedom of speech and assembly” but the police say people can decline to be scanned without arousing suspicion. – Where is the trial taking place and how long for? The latest trial of live facial recognition technology will take place across parts of Soho, Piccadilly Circus and Leicester Square on December 17 and 18. Police will deploy the system for about eight hours each day to provide enough time for it to be tested. – Why are the police using facial recognition technology? The Metropolitan Police hopes live facial recognition technology will help reduce crime, especially violent incidents, and could be used as a tactic to deter people from offending. They claim trialling the system in real life conditions will enable them to gather accurate data and learn as much as possible. – Is the public being made aware of the trial? Yes, the Metropolitan Police said it is making people aware the trial is under way with posters displayed around the affected areas. There will be a “clear uniformed presence” of the technology, with information leaflets being handed out to members of the public. – How does the technology work? 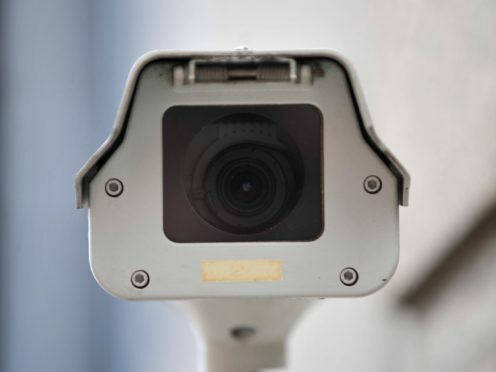 The Metropolitan Police uses facial recognition technology called NeoFace, developed by Japanese IT firm NEC, which matches faces up to a so-called watch list of offenders wanted by the police and courts for existing offences. Cameras scan faces in its view measuring the structure of each face, creating a digital version that is searched up against the watch list. If a match is detected, an officer on the scene is alerted, who will be able to see the camera image and the watch list image, before deciding whether to stop the individual. – Are faces stored in a database? The Metropolitan Police said it will only keep faces matching the watch list for up to 30 days – all other data is deleted immediately. – Can you refuse to be scanned? Yes, people can refuse to be scanned without being viewed as suspicious, although the Metropolitan Police said “there must be additional information available to support such a view”. – Is this the first facial recognition trial? The Metropolitan Police has previously tested the system at major events, such as Notting Hill Carnival and Remembrance Day, as well as at the Port of Hull docks and Stratford transport hub. South Wales Police have also tried the technology at various events including the Uefa Champions League 2017 final in Cardiff, international rugby matches and Liam Gallagher and Kasabian concerts. – How accurate is the technology? Trials in London and Wales have had mixed results so far. In May, the Metropolitan Police released figures showing it had identified 102 false positives – cases where someone was incorrectly matched to a photo – with only two correct matches. Neither resulted in arrest, as one was no longer wanted by police, while the other was classed as a “fixated individual” who attended a Remembrance Day event. South Wales Police said its trial results improved after changes to the algorithm used to identify people. The system allowed it to make four arrests during the autumn internationals rugby, one arrest and two people ordered to leave at a Kasabian concert, and five arrests during the Six Nations rugby. The force also made two arrests in Cardiff as part of Operation Fulcrum and a further two in a similar operation in Swansea. A report by South Wales Police said the system struggled in large crowds and in darkness, as well as against people wearing glasses or hats. The mobile app also frequently failed or was slow getting alerts to intervention teams. The Metropolitan Police have indicated future deployments could be considered for football sporting events, music festivals and more transport hubs. “We continue to engage with many different stakeholders, some who actively challenge our use of this technology,” said Ivan Balhatchet, strategic lead for live facial technology at the Metropolitan Police.